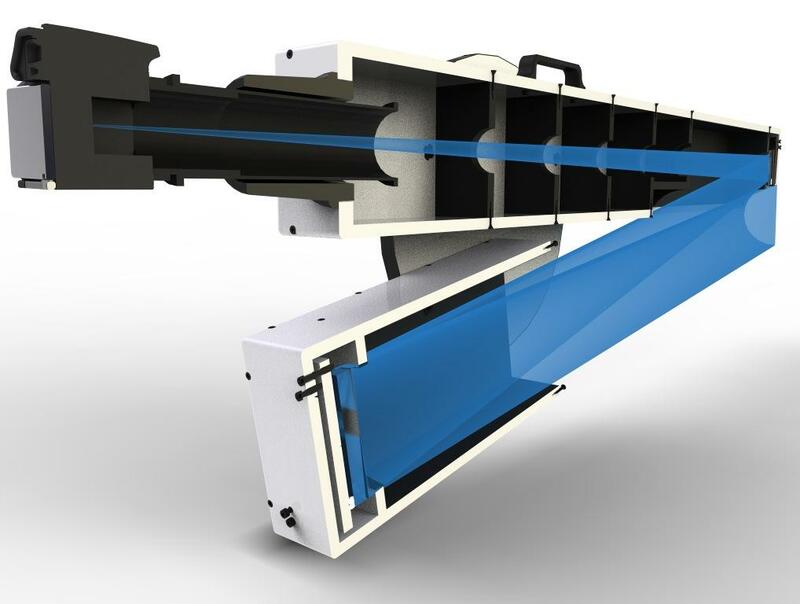 Schiefspiegler is probably the most popular of tilted telescope designs (TCT). It consists of two mirrors but the secondary is moved aside so that it doesn't shadow the primary mirror. Both mirrors are tilted for the design to work. Such design gives no obstruction - which is very handy for planetary imaging or observing. Schiefspiegler were initially made in Germany, and now they are sometimes made by amateurs. 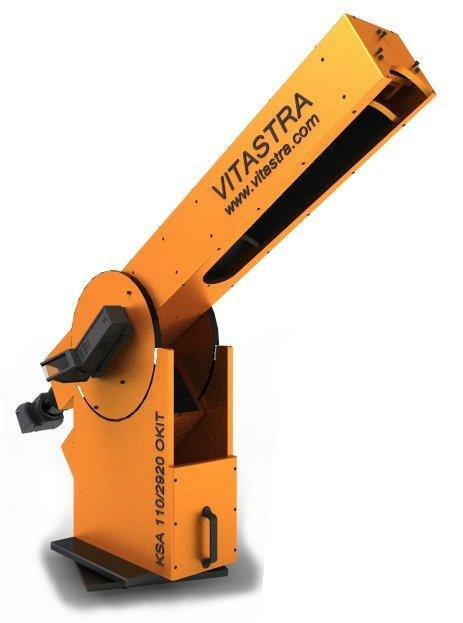 If you would want to get a complete set of mirrors for such telescope then you can visit Vistara website. You can get a mirrors set with 108 mm primary. You also get optics report and instruction on how to build a telescope with such optics. Somewhat bigger sets should also be possible. The primary mirror is in the mount base while in the funky nose we have the secondary.